Our aquatic sports include a lot! What’s a holiday at the sea without fun in the water? 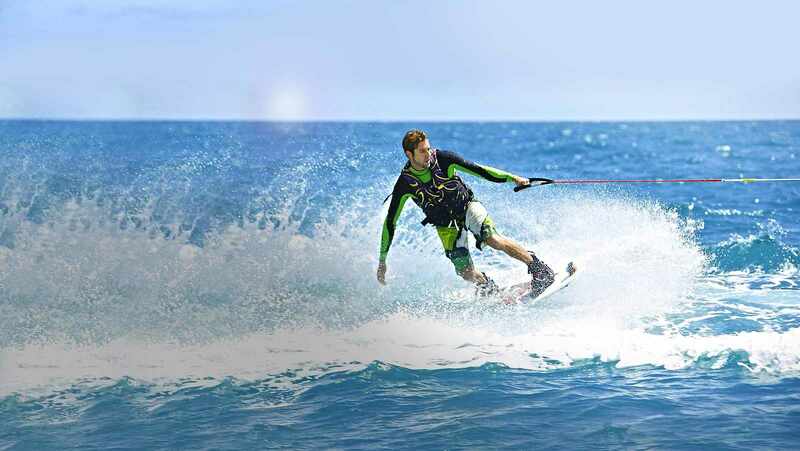 Use your next holiday to take the opportunity to try out a whole host of aquatic sports. An unforgettable TUI MAGIC LIFE resort holiday lets you go canoeing, wakeboarding and waterskiing, as well as enjoy trying out so many other aquatic sports. Banana boat rides are also a huge source of fun. Enjoy your active aquatic sports holiday at TUI MAGIC LIFE Jacaranda on the Turkish Riviera or at TUI MAGIC LIFE Penelope Beach on the paradise island of Djerba. Hawaii, California or Australia – many holidaymakers dream of trying out surfing. You’ll be surprised just how steady a surfboard is and by the fact that you can ride the perfect wave, too. Join the surfing community during a surfing holiday with TUI MAGIC LIFE! You and the whole family will have tons of fun, fantastic memories, a little muscle ache and an international surfing certificate!